・NEW Emergency and Critical Care Medicine section contains 13 chapters covering complicated and serious internal medical problems. ・NEW! More than 800 colorful new images clarify concepts and demonstrate clinical examples. ・The Current Therapy format focuses on the latest advances in feline care and includes broad, traditional, and controversial subjects of real clinical importance. ・Clinically relevant approach is supported with scientific research and promotes practical, progressive clinical management. 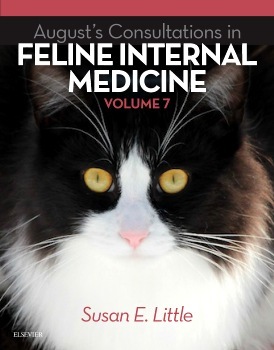 ・More than 130 world-renowned contributors provide expert insight across the full spectrum of feline internal medicine. ・Extensive references make it easy to find additional information about specific topics most important to your practice.